Play Ball in PBS LearningMedia: Resources California Educators are Cheering For! Sports are a hit with kids both on the field and in the classroom. Teachers can bring the ball play inside with these engaging resources from KQED in PBS LearningMedia. Here are two great resources that connect baseball to physics. Take a swing at connections between your curriculum and baseball. Below are two of the top resources California educators are cheering for. 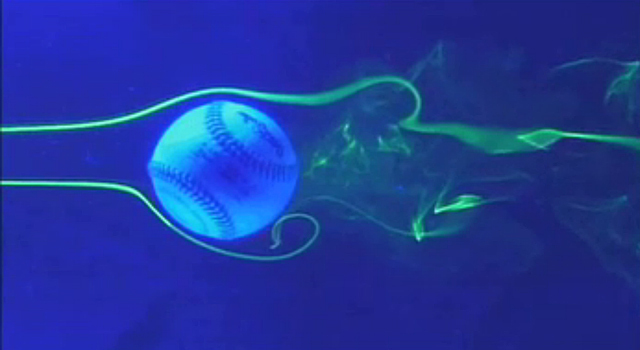 In this video, adapted from QUEST, two scientists from San Francisco Bay Area institutions break down a few of the many different ways that baseball is a great way to learn about the physics of motion and energy, including aerodynamics and vibrations. Use this resource to investigate the basic physics principles behind the techniques used by baseball players, understand how and why a curve ball curves, and gain information on the physics of hitting a ball.